Since the launch of Farah Experiences in 2008, they’ve delivered millions of smiles to guests from around the world through their growing portfolio of world-class entertainment experiences. Join the team who creates the thrills of Ferrari World Abu Dhabi and the legendary adventures of Yas Waterworld - and be part of the exciting projects to come. Here at Farah Experiences, it's definitely their people and culture that makes them successful. If you’re looking for a rewarding career in a company that values individuality, celebrates creativity and has a culture to match - then they'd love to hear from you. Farah Experiences is on the lookout for talented people who can help them develop Abu Dhabi's most iconic entertainment destination, Yas Island. 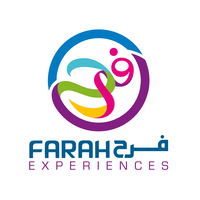 Farah Experiences is looking for a Mobile Developer in Dhabi, United Arab Emirates. If you meet the requirements below, you will be eligible to apply via Digital Marketing Community. Understood mobile application development using Xamarin. Accountable for the full cycle of a Mobile App development: conception, development, deployment, and continuous improvement stage. Produce Unit Tests to sustain quality and regression coverage as well as you will support QA with integration testing fixtures to support automated testing. Plan, code, test, debug, document and maintain Transcendent software applications and maintaining and administrating Mobile Apps. Draft the UAT test, and validating it with the business users and Troubleshooting any bug\issue in the system and identifying the appropriate fix. Minimum 4 years experience with Mobile App development using Xamarin for iOS and Andriod. Effective experience in design, architect, developing and delivering native mobile and cross-platform Xamarin.Android, Xamarin.iOS and Xamarin.Forms applications using Xamarin Studio or Microsoft Visual Studio. Proficient experience with Object Oriented Programming and Design. Expert knowledge of Web Application Development, 2+ years of hands-on experience in design and architect mobile back-end services. Deep knowledge of MVC pattern and experience developing and working with Web services. Demonstarted understanding of the software development lifecycle, application design, user interface design, functional design, technical characteristics of relational databases and client-server systems.